PT Indra Karya (Persero) – Indra Karya is a well-etablished state-owned engineering consulting services company in Indonesia. Indra Karya concentrates its business activities in engineering consulting services, including water resources development, electricity resources development, transportation infrastructure, survey and investigation, building, and environment. Indra Karya is 100% owned by the Government of Indonesia. PT Indra Karya (Persero) first started in 1962 as a continuation of PN Indra Karya. In 1978, the company’s line of business change into engineering consultancy firm (Engineering). 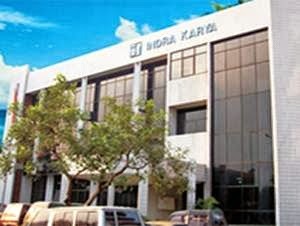 Headquartered in Jakarta, Indra Karya runs its business through 3 regional operation areas across Indonesia; Regional I Malang, Regional II Semarang and Regional III Jakarta. Indra Karya also also supported by 2 division units; Survey and Investigation Division and Special and Investment Division. In terms of financial positions, Indra Karya successfully recorded its total revenue in 2012 amounted to Rp 93..4 billion. This reflected an increase of 2.75% from Rp 90.9 billion in 2011. This figures was quoted by JobsCDC.com from BUMN Profile 2012 issued by the Ministry of State-Owned Enterprises. Background in Bachelor Degree (S1) in Accounting. Background in Bachelor Degree (S1) in Taxation Accounting.